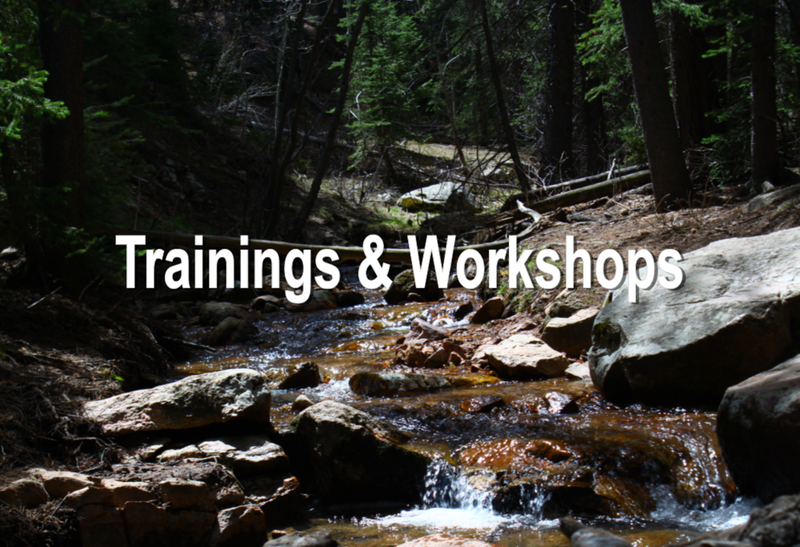 JANUARY 24th, 2019: Colorado Ag Water Alliance Irrigator Workshops: Nucla - Stream Management Plans at the Nucla Community Center, 1045 Main St., Nucla, CO 81424 from 9:00 am - 2:00 pm. What is a Stream Management Plan? What do Stream Management Plans have to do with Ag? The Colorado Ag Water Alliance (CAWA) wants to explore the potential of these projects to include benefits to Ag, and why Ag should participate and consider a leadership role in these plans. Come listen to other farmers and ranchers about their experience with Stream Management Plans.For more information and to register CLICK HERE. FEBRUARY 11th,18th, & 25th, 2019: 2019 Water Course. Join Colorado Mesa University for this 3-evening seminar series on water in our region! February 11: Introduction to Colorado Water Supply, Use and Law. February 18: Impacts of Drought & Aridification. February 25: Colorado River Drought Contingency Planning. CMU students can earn 1 credit for attending this series plus additional sessions on February 4 and March 4 and completing an assignment. K-12 Teachers can also participate in this expanded series. For more information, including registration, click HERE. MARCH 4th-5th, 2019: QUALIFIED MS4 STORMWATER TRAINING. In this two-day course they will cover all the topics to ensure that you meet the regulatory requirement to conduct Stormwater Inspections. They will review the requirements of your state MS4, Construction, and Industrial General Permits; we will discuss what it takes for you to be in compliance with the permits; they will discuss inspection techniques that will help you better evaluate whether or not other permittees are in compliance with their permits – and how that influences your permit compliance; and they will discuss BMPs – which are best, when to use them, how to use them, and how to know if BMPs are correctly installed and maintained. For details, including registration, click HERE. MARCH 5th-8th, 2019: Certified Interpretive Guide (CIG) Training Class. South Platte Park has opened registration for their next training course at South Platte Park in Littleton. Successful students will receive nationally-recognized certification in interpretation and resource communication. If you have been considering this course for your incoming seasonals, front-line staff, extraordinary volunteers, new hires, or old hands, now is the time to register! For more information and how to register, click HERE. MARCH 21st-22nd, 2019. Certified Stormwater Inspector Training. This course was developed by former Federal and State stormwater enforcement officials for the express purpose of training municipal stormwater personnel to conduct stormwater inspections of municipal, commercial, industrial, and construction activities. It includes instruction in the law (federal, state, local), illicit discharge detection and elimination, pollution prevention, post construction, public involvement and education, inspector protocols, and much more! For more information, including registration, click HERE. APRIL 1st-3rd, 2019: After the Flames Workshop and Conference. Experts warn that year-round fire season is the new normal. Wildfire is no longer "if" it will occur, but rather "when." The impacts of a wildfire last long after the flames are extinguished. Community leaders, agency representatives, property owners, and anyone impacted by wildfire is invited to join this interactive workshop and conference featuring recovery experts and agencies engaging After The Flames. For more information click HERE.